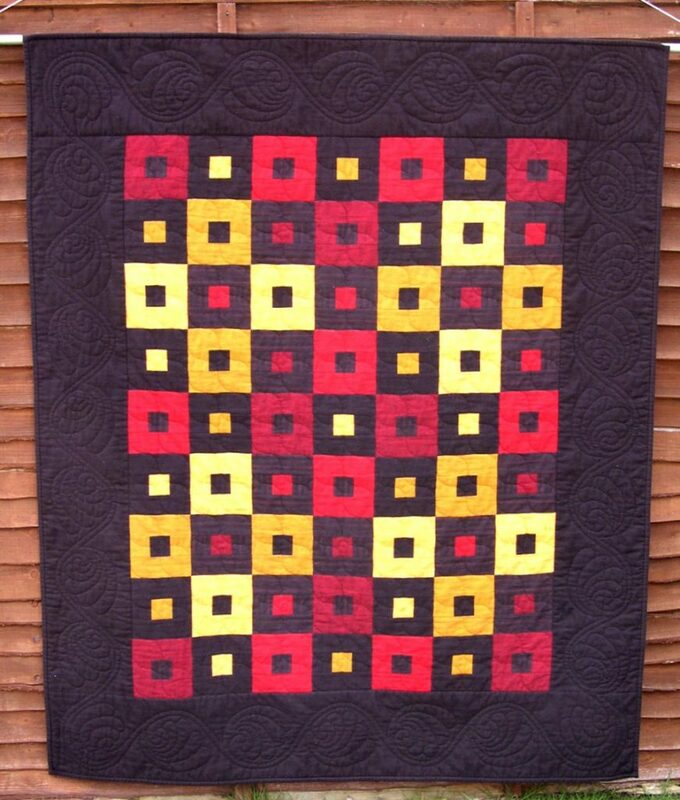 How do you start hand quilting? This webpage will discuss the types of wadding (batting in the USA) that you will need. 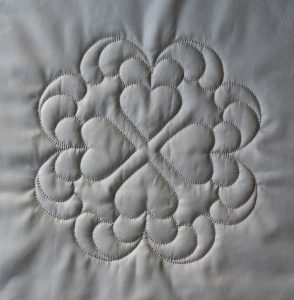 The thickness and the density of the wadding makes an enormous difference to the ease of the quilting, and also to the finished appearance. Wadding that feels very squishy will be comfortable to quilt through by hand, and will give a high “loft” to the finished item, while flatter wadding will give a low loft finish. Don’t choose wadding that is really thick – it will be too hard to stitch through. Even if it’s thin, it could be difficult to “needle” if it is also dense. 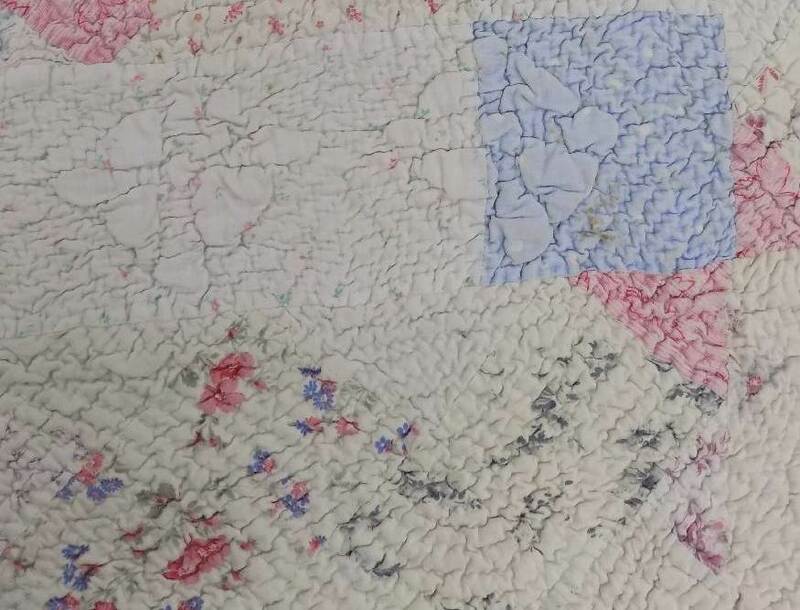 Some makes (such as Quilters Dream) produce the same wadding in more than one thickness; the thinner ones will be easier to quilt, particularly if you are aiming for tiny stitches, but will give less loft to the finished quilt. You can see the difference in some of my antique quilts: the wadding in the North Country Harle Wedding Wholecloth is much thinner than in the Pink & Gold Welsh wholecloth. 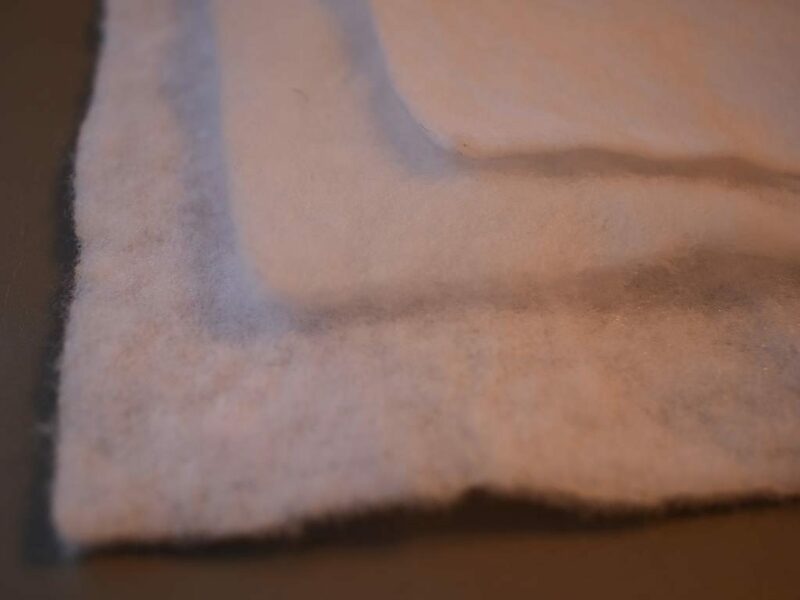 Many experienced hand quilters love wool wadding, which is soft, light, easy to stitch through and gives a good loft. Good makes are Hobbs Tuscany Wool or Matilda’s Own. It is, however, quite expensive, and not always easy to buy in smaller quantities for a small initial project. 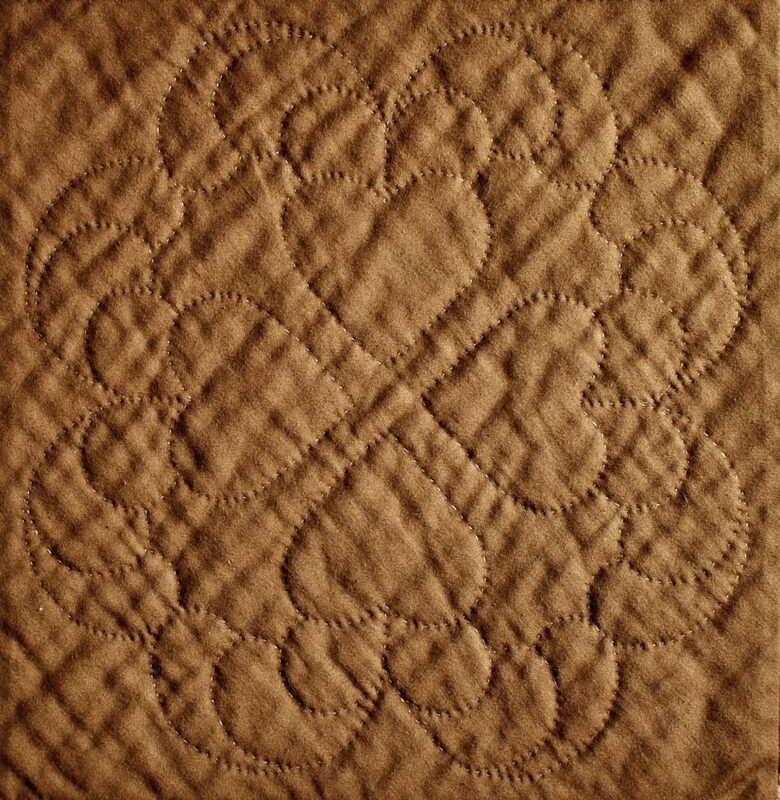 You also need to wash a finished quilt with care to avoid shrinkage or felting. The modern polyester waddings are also nice for hand (or machine) quilting, particularly if the quilt needs to be easily washable. 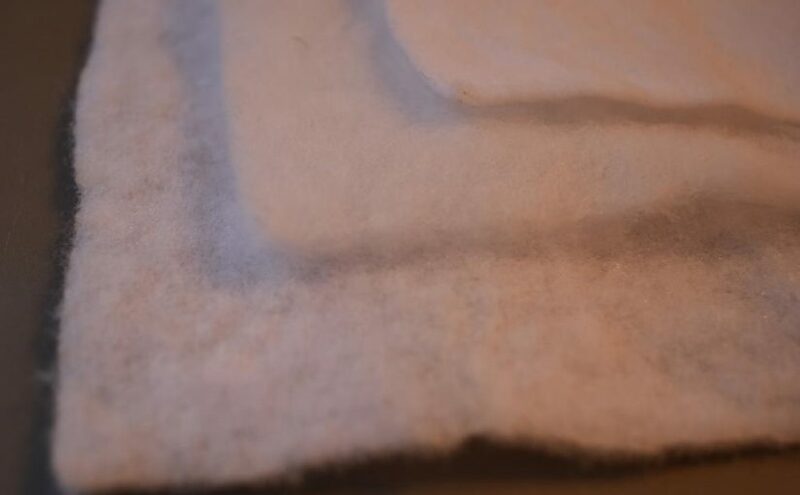 Make sure that you get a compressed polyester wadding such as Hobbs Polydown or Quilters Dream Poly, not the cheap, generic sort which, over time will squash flat and lose its loft. Cheap wadding can also result in bearding. 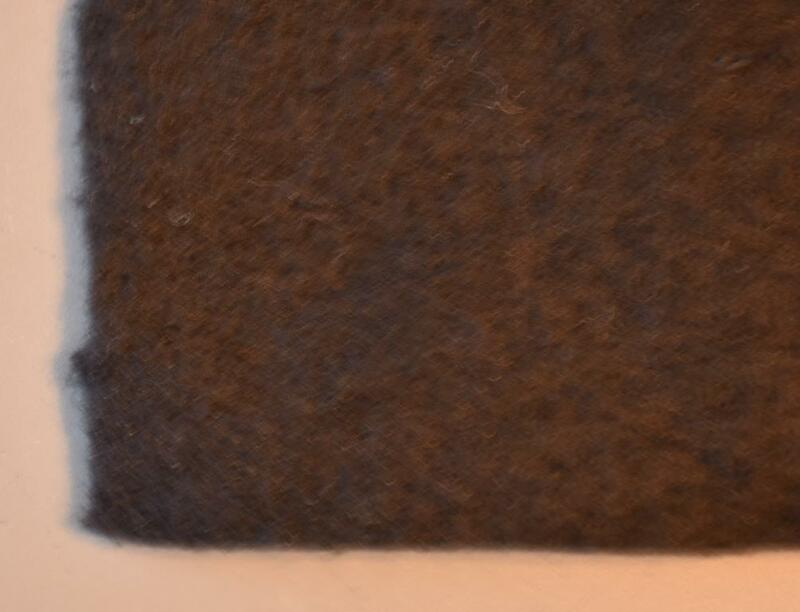 Can you see how much more body the better quality polyester wadding has on the right? It will still be springy enough to maintain a good loft. This cheap polyester wadding to the left is not worth wasting your time with. 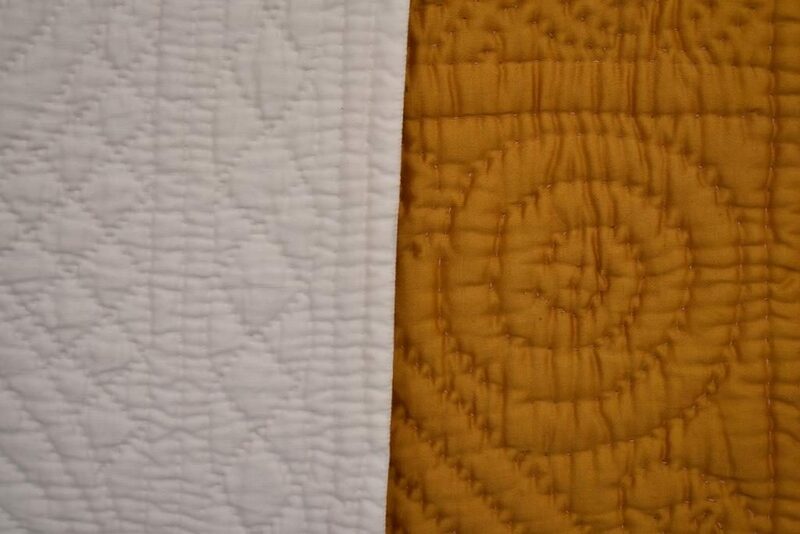 Some are thicker than others – of the three shown here, Soft & Bright has the highest loft, and you may find it a bit too thick for fine hand quilting. 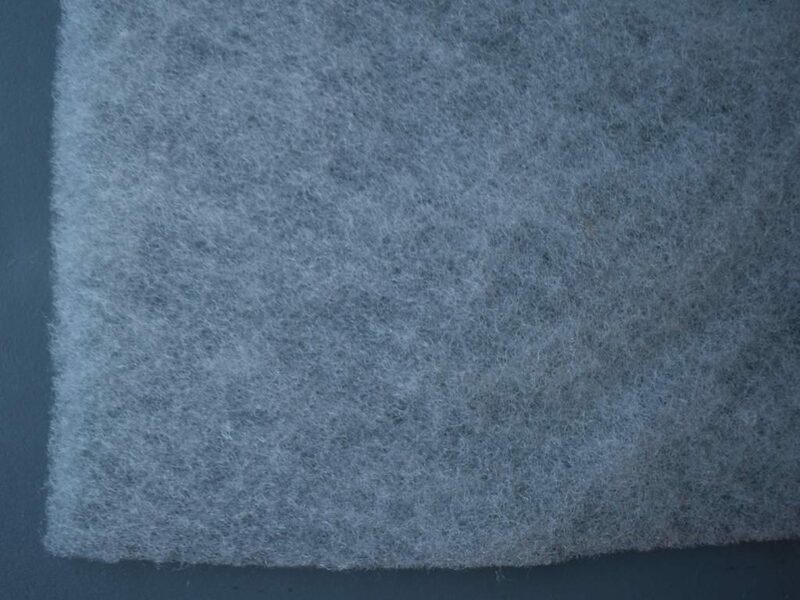 Polyester wadding is a good choice if you have a white background fabric, as it will maintain the fresh, crisp look. Cotton wadding generally has a lower loft than either wool or polyester, and will give a flatter finished appearance. 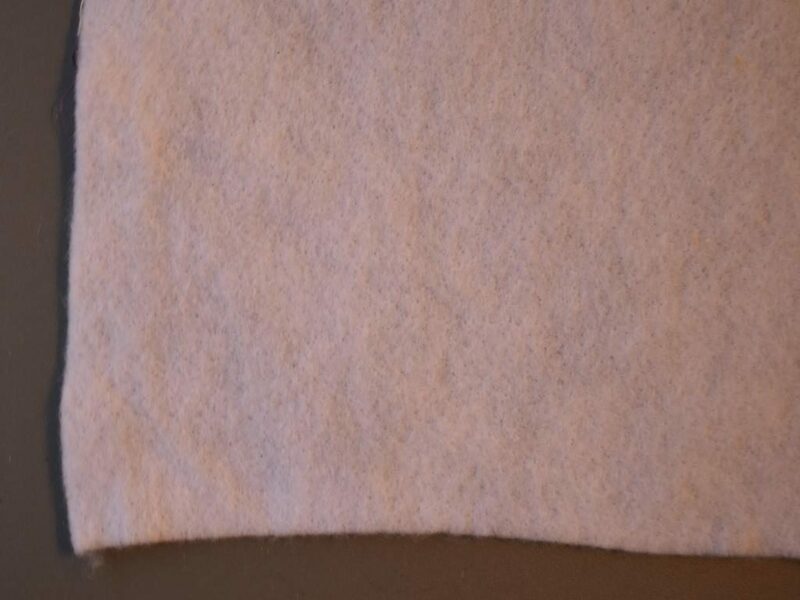 It tends to be creamy in colour, so if your quilt includes a lot of white fabric, test the wadding behind it before using, to see if it dulls the brightness. 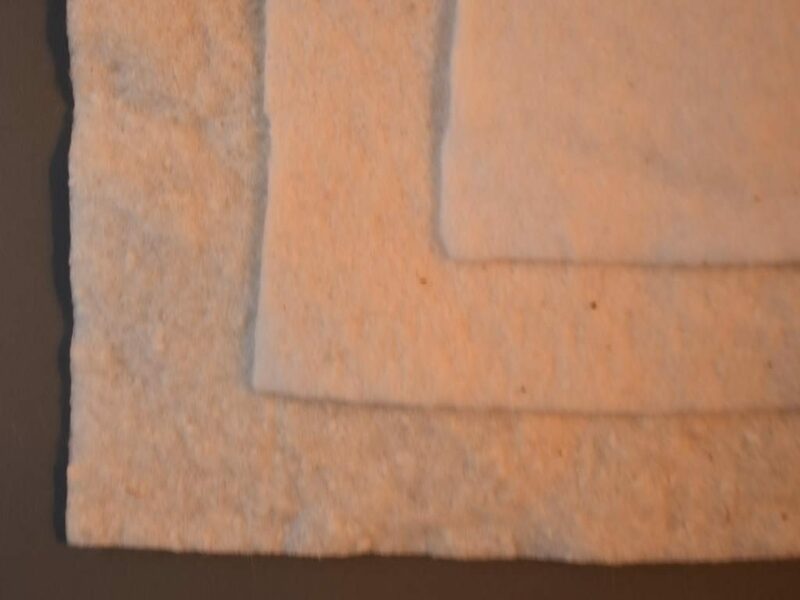 Cotton wadding will also shrink a little on washing, which will affect the appearance of the finished quilting (you may or may not like the “antique” look!). 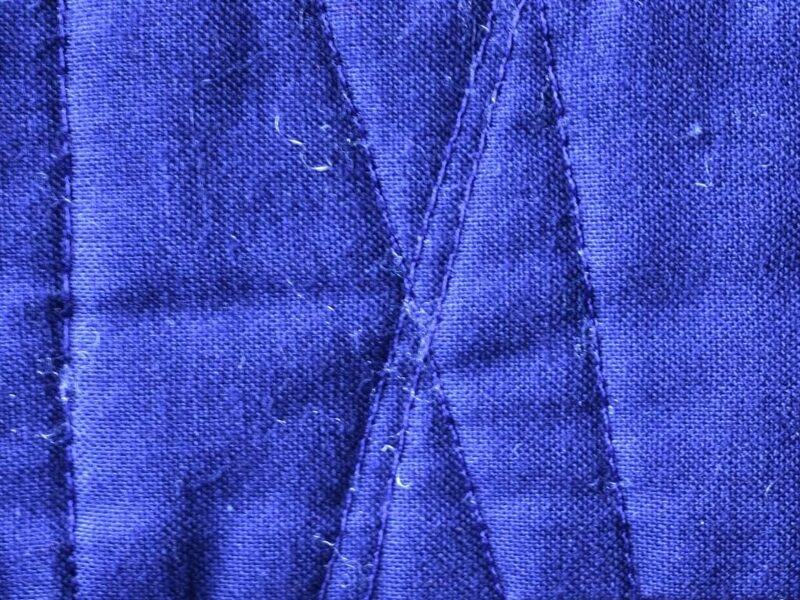 The “needling” is very variable – some can feel almost “sticky” when you try to stitch through it. Avoid anything which has a scrim in it, which is very dense or which has visible seeds in it. Try needling it in the shop before you buy, or buy a selection of samples to try out from e.g. The Cotton Patch. Mountain Mist Cream Rose is whiter than most, and shrinks less, so is a nice option if you can get it; Quilters Dream Cotton is another good choice, if you like the flatter look of cotton. Hobbs Heirloom is a blended wadding which is 80% cotton and 20% polyester. 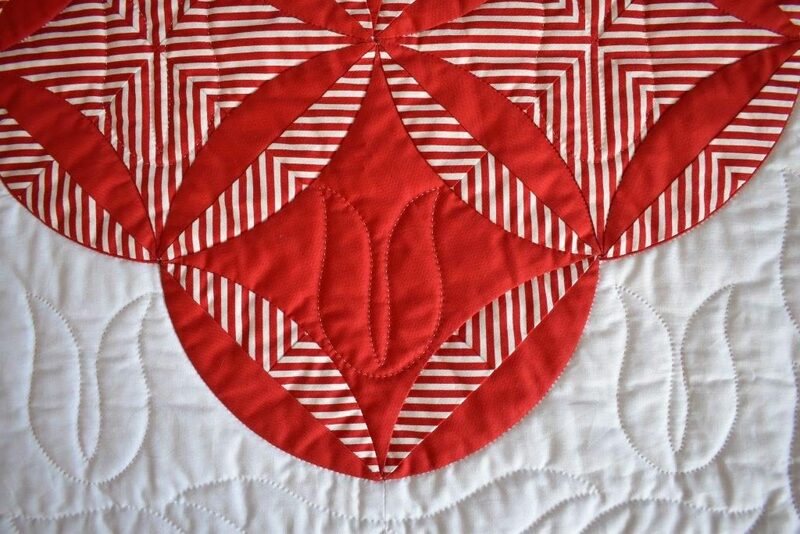 Generally, I like this better than pure cotton – and for a quick quilt, I particularly like the fusible version, which just needs the top and backing ironing on to layer it, avoiding the need for pinning, spray glue or tacking. It is also available in a black version, which is a good idea if you have a lot of dark fabrics in your quilt, and are worried about bearding. 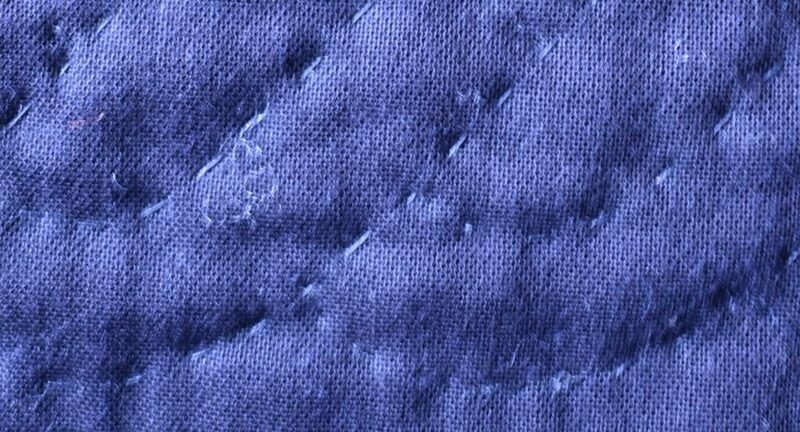 “Bearding” describes a problem which occasionally occurs, when fibres of the wadding work their way out through the fabric, and appear as little wisps on the surface. 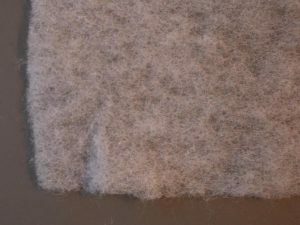 Bearding is more likely with loosely woven top fabrics, blunt needles or with stiff polyester fibres which are not bonded into the wadding well – but it can occur with good quality makes and other fibres too, and can be very annoying. Whatever you do, don’t pull at the little white fibres – more will come out…. Just trim them off. I haven’t tried either bamboo, soya or silk wadding; these are liked by some hand quilters but not by others. Which wadding you choose is a matter of personal preference. Consider the finished appearance, your budget, and what the project will be used for. It is usually better value to buy larger pre-cut pieces (King/Queen size) or to buy from the roll, even if you are only planning a lap quilt, as it will probably be wide enough to use the leftovers for another project. Whatever you buy, try to spread it out and check it before they cut it from the roll. Occasionally you will spot an extra thin or thicker part, which you will want to avoid. Personally I don’t bother pre-washing wadding; just spread it out at home to allow the creases to drop out before layering. 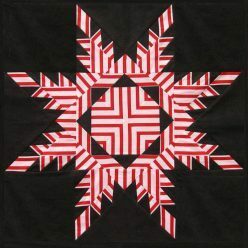 This page is part of a set about Quilting Basics.